Haller Enterprises Leverages XOi Vision’s Integration with Data-Basics’ SAMPro Enterprise to Deliver Superior Value to Customers. Mechanical contractor Haller Enterprises, Inc. adopted the XOi Vision™ intelligent visual communications platform to build trust and transparency with customers and separate their service value from competitors. Haller supports its customers with about 220 expert technicians and over 300 vehicles. The central Pennsylvania company works in both the commercial and residential spaces, dealing with new construction and service for all three trades—HVAC, plumbing and electrical. With so many people and projects to manage, the company relies on SAMPro Enterprise ERP by Data-Basics to manage accounting, field service and construction. Joshua Landis, Director of IT at Haller, recalls that they chose the solution for its job costing features and mobile app, in addition to the fact that it was a comprehensive solution capable of managing both the service and install and new construction divisions of their business. While SAMPro Enterprise ensures every job is well-managed, Landis remains on the lookout for solutions that add value for customers and help separate the firm from competitors. When he learned about the integration between XOi and Data-Basics, he knew video could be a game-changer—for customers and technicians. XOi Vision™ enables technicians to take photos and videos of issues and resolutions that will be shared with the customer. Videos get tagged directly to work orders in SAMPro Enterprise, so customers can see the current job was completed. Videos are also tagged to serial numbers, so customers look back across years of repairs and maintenance to specific equipment. Another benefit of the integration between Data-Basics and XOi is the ability to create different workflows within XOi based on the technician. For example, Haller Enterprises has designed different workflows for residential techs and commercial techs. Being able to set up workflows by technician role has been an area of significant return on investment, according to Landis. 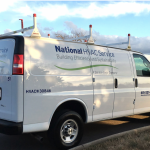 Initially, Haller Enterprises rolled out XOi Vision™ to its commercial division technicians. They thought commercial customers would receive immediate value, since they don’t often venture up on the roof to see the work performed. Soon, the word spread about the solution’s ease of use and the results it was achieving for customers. Managers and technicians from other areas of the business wanted to use it, too. “You know you have a good product when other areas ask for it. Our managers and technicians are looking to get on board with this technology because of what it can provide not only to the customer, but also to them as technicians. Taking a video really gets them up- to- speed quickly about what was done on previous calls. They don’t need to call the previous tech to figure out what they did. XOi Vision™ saves us so much time in many different ways,” said Landis. Vision™ is a cloud-based platform that can be accessed through any mobile device or select smart glasses. It leverages machine learning, such as Natural Language Processing (NLP) and Optical Character Recognition (OCR) to streamline how information comes in and goes out. Vision™ uses OCR to capture data plates and transcribe the manufacturer, model and serial information from a picture to the platform. Through NLP, Vision™ will listen, identify and tag industry specific words that allow your techs to search for useful resources from the field. “The biggest advantage of the XOi and Data-Basics integration is you have one central location where your video and photos are being housed and tagged appropriately so you can find what you’re looking for when you’re looking for it,” said Landis. “One of the most impressive things about XOi is their white glove onboarding process. I haven’t seen anything that exceeds that process,” said Landis. When he tells other Data-Basics software users about XOi, Landis emphasizes the progressive mindset that XOi brings to technology. He also values the fact that they have stayed in regular contact with him, gathering his feedback and looking for ways to improve, long after the implementation was completed. “The XOi team thinks ahead and constantly looks for ways to improve XOi Vision™ and also to improve the way you use it. Every company has different integration points with other software solutions, and they look for ways to bridge the gaps and make our processes more efficient,” said Landis. Want to see how XOi Vision™ integrates into your Field Service Management software? See a live demo.